Many people have purchased quilts at an antiques store or auction and wondered about the story of the quilt. They want to know who took the time to lovingly make a quilt. They wonder whether it is an antique quilt or a reproduction of one. They want to know where it was made, and why. Unfortunately, all of this information and history is lost, simply because the quilt maker did not bother to label her quilt. Why should you label a quilt? When you are excited about finishing a quilt, sometimes putting a label on a quilt seems like too much work, because you are anxious to move on to the next project. Labeling a quilt is quick and easy. It helps you remember when you made something When the quilt is inherited down the generations, you and your quilting talents will be remembered. Sometimes it feels like labeling a quilt is pretentious, like you are declaring yourself to be an artist or some kind of creator. Well, if you make a quilt, then you are one, and you shouldn't feel shy about identifying yourself as one. Besides, you can think of it this way. Would you feel bad about putting your name on a book you lend to a friend, or a CD you take to a party, just so they remember who it belongs to? The label just gives a provenance, a history of the quilt. And just imagine the relief some people might feel reading a label and finding out that this ugly quilt wasn't made by their grandma! Even if you keep the quilt at home, it is very helpful to to help you remember. You can simply look at a label to find out when you made a particular quilt. How do you make a label for a quilt? Creating a label is as simple or as complicated as you want it to be. The simplest way is to take a fabric pen and sign your name directly on the quilt either on the front or the back. 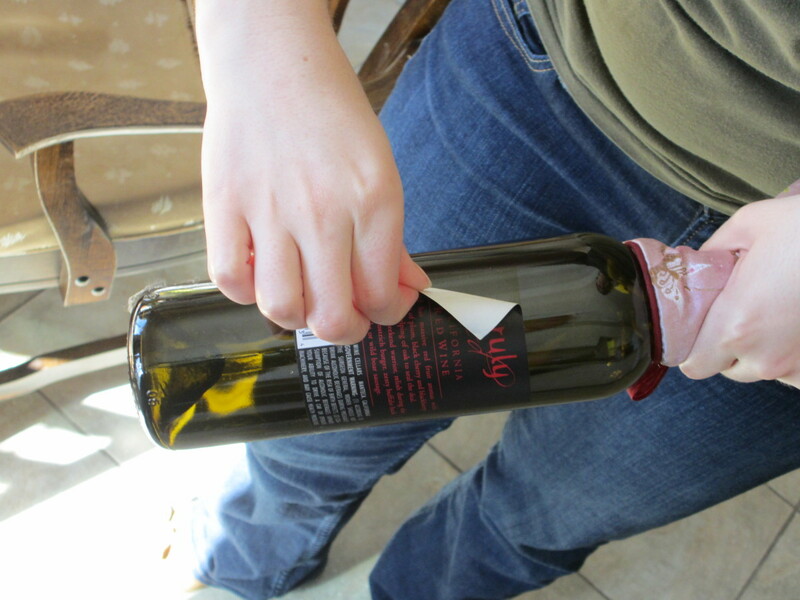 Most people generally put the label on the back to avoid interfering with the design on the front. If you sign the hanging sleeve, you can ensure that the pen will not bleed through the front. You can also quilt your signature in if you are doing free motion quilting, or add some stitchery by machine or by hand. 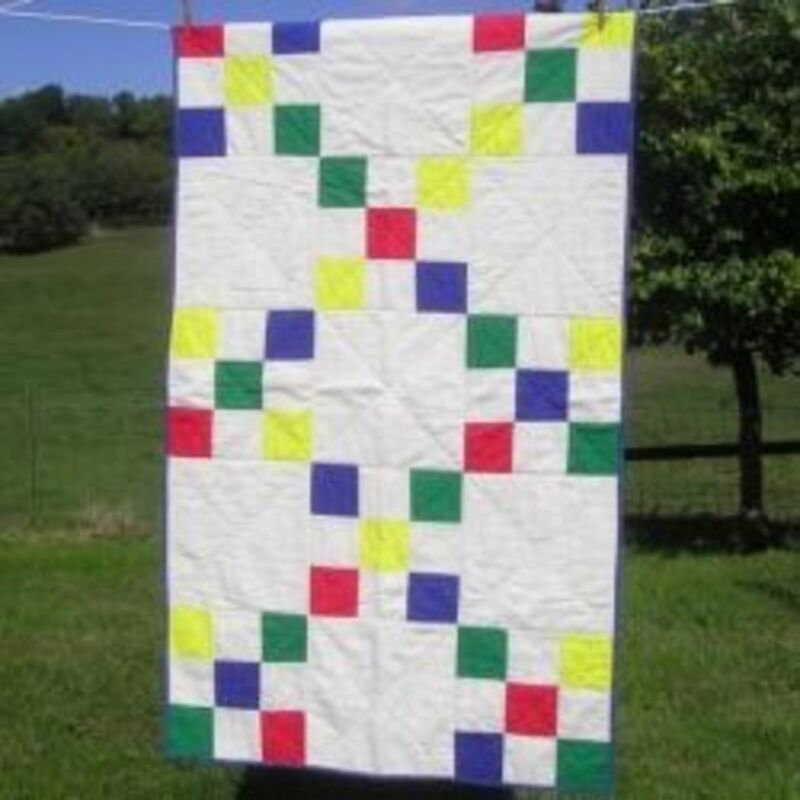 Most quilters prefer to make a quilt label on a separate light piece of fabric and attach it to the back of the quilt. If you do this, it is generally recommend that you add it before quilting, so someone can't take the label off and claim the quilt as their own. 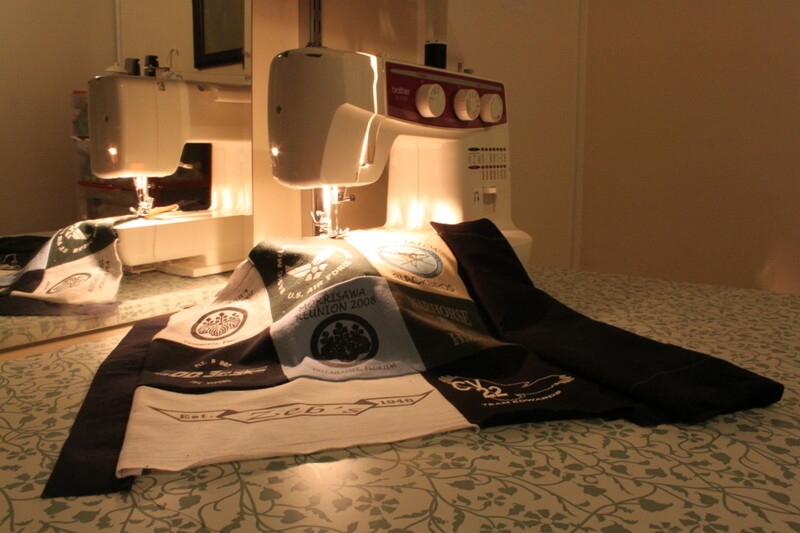 You can use an embroidery machine to put your information in a nice design. You can make a quilt block, or use an extra one that mirrors the design on the front, and use that as a label. You can print a label using your computer complete with picture, and typed information. You can use photographs, or drawings to enhance your labels. Tags designed for scrapbooks make great quilt labels. You can write your information on a separate piece of fabric and attach it to the back. If you don't like your own writing, simply ask someone else to write it. What kind of information do you put on a label? The most important pieces of information to add to a label, of course, is your name, and the date you finished the quilt. If you remember the exact date, use that for the label, but if you don't, use an estimate. A month and year, or even a year by itself is better than nothing. Since you made the quilt, your estimate is likely to be a more accurate one than an estimate by someone many years later. My Quilt Labels board on Pinterest has many examples of additional quilt labels that can serve as inspiration for your next quilt label. Why you made it, was there a special occasion? 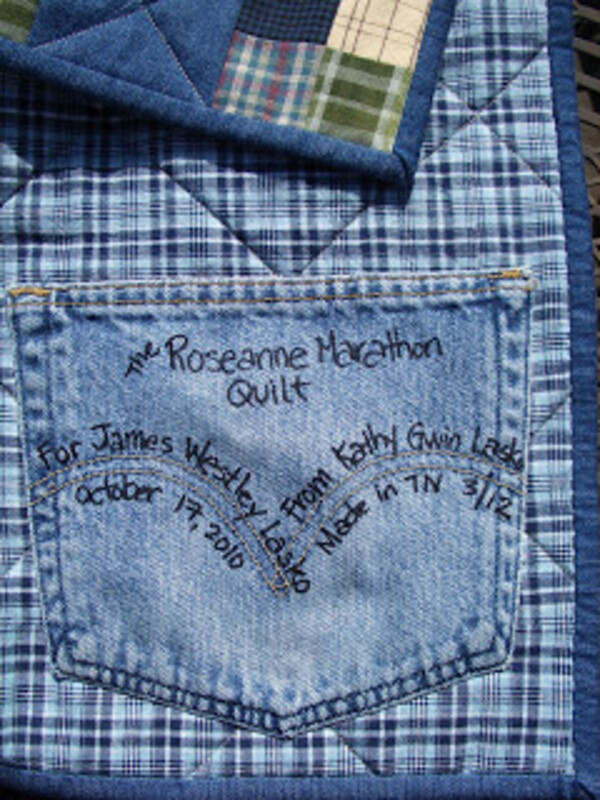 I think the more you say the better it is for historical purposes, but even if all you do is write your name on the backing, it will provide valuable information for yourself and others who may eventually own the quilt. How do you attach a label to a quilt? You can put a fusible material on the back of the label, like Steam-a-Seam2 and press it on the back of the quilt. Or you can sew it on by hand, being careful to make sure the stitches do not show on the front of the quilt. 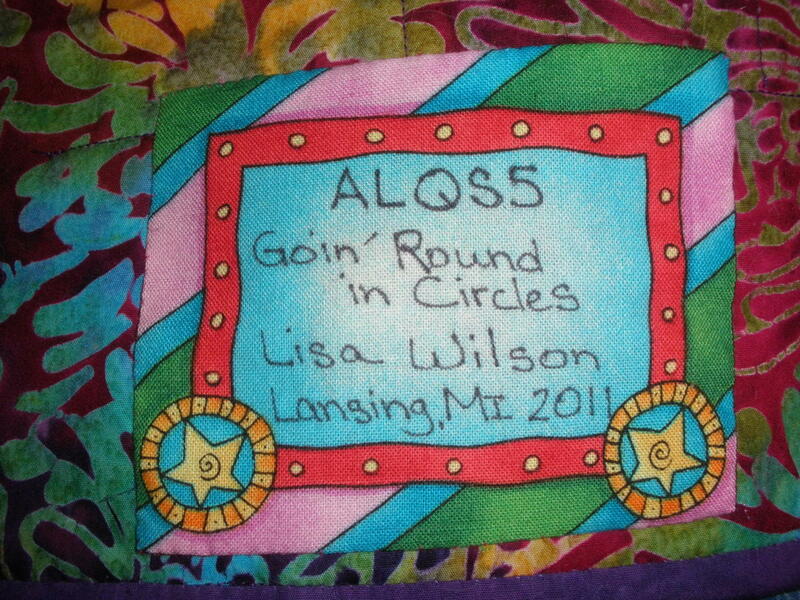 An easy way to attach a label is to sew it into the corner of the quilt. Just fold down the two sides that will not be hidden in the seam allowance. Baste two of the sides to the corner about 1/8 inch from the edge before applying the binding. Stitch the remaining two sides of the label by hand when you are hand sewing the binding. Another way to avoid hand sewing a label is to take a five inch or larger square piece of fabric and fold it in half diagonally. Baste the raw edges into the corner, and put your information in the resulting triangle. Be sure to write well away from the part that will be covered by the binding. The triangle label does not need to be sewn down, although you may want to sew it down if you are making a baby quilt. You don't want the baby's hand or foot to get caught in the label. 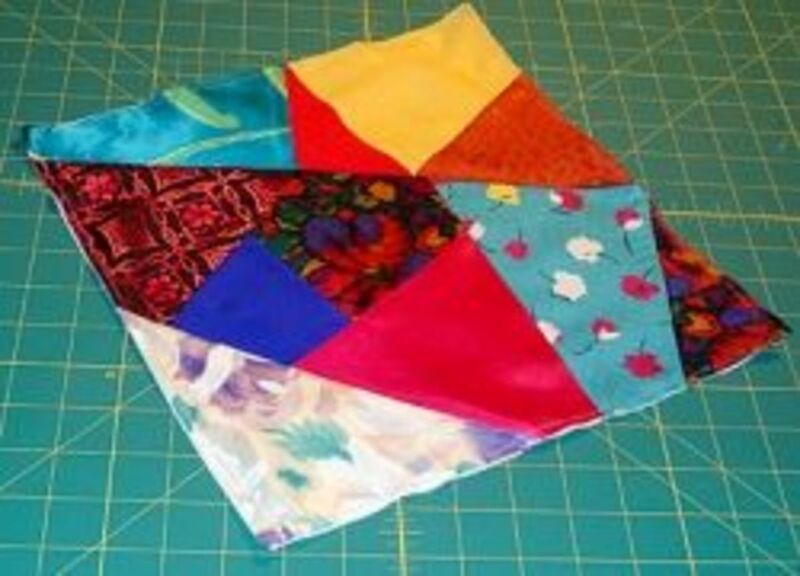 These triangles can even be used to hang a small quilt. Add a triangle to each side at the top, and insert a dowel rod. The dowel rod can then hang on a nail or hook on the wall. There are so many ways, and they are so easy, you have no legitimate excuse to not have a label on your quilt. Adding a quilt label is quick and easy, but it really provides valuable information for you and future generations. When someone buys your quilt at an antique store, they will think of you, and know who it is that made this gorgeous piece of textile art. Remember, a quilt is not really finished until it has a label. Which is the best pen for writing labels? I haven't chosen a favorite, because, for me, the best pen is the one that is available. I am thinking about doing a test with the markers I do have so I can show everyone the pros and cons of each. It might not be fair though, since some of the markers are a lot older than the others. Right now, I tend to use the Arteza fabric marker. It is like a Sharpie but doesn't bleed as much. If writing the label for a quilt, what kind of marker do you use? Since the writing is on the back, and on a separate label which is attached to my quilt, I am not very choosy about what marker I use. The separate label will keep the ink from bleeding into the quilt. I use whatever permanent marker is handy. I have used a Sharpie from time to time. The Sharpie bleeds so I keep my spacing far apart so the words are legible. It is more important to have the important facts documented on the label than worry about the prettiness of the label. Since then I have used a Micron Pigma marker which has a fine point and does not bleed. Sometimes the tiny point gets stuck on the fabric, but it is a nice clean mark. I am pretty sure it comes in different sizes but I only tried the one. Lately, I have been using Arteza Fabric Markers which come in a variety of colors. They don't bleed as much as a Sharpie and the tip is big enough not to get stuck in the fabric. The fabric markers can also be used on the front of the quilt for art quilts. Comments on "How to Make a Quilt Label"
Thanks peachpurple. Even if you don't make your own quilts, it is important to document whatever artwork you do make, and quilts and art work that have been handed down to you. That's great Rogene. I am glad you label and sign your quilts. You gave good information here. I label all my quilts. I also sign them on the front. I look forward to seeing your new, labeled, quilt, New Newbie. I am sure it will be lovely. The idea of labels to make it very personal is what inspires me to make another one. Thank you mvillecat - I enjoy cutting my labels into interesting shapes as well to make a label more interesting. A heart shaped one is a great idea. Thank you New Newbie for your comment and compliment. Yes, I think it is a great idea for you to make another quilt. Just be sure to add a quilt label. In fact, it might not be too late for you to label that old quilt if it hasn't been used to shreds. Thanks for the interesting Hub. I have been making mine shaped like hearts but I love the folded envelope you have pictured. I will try that and I know it will be beautiful. I usually write on felt fabric-just seems easier to me. I enjoyed reading this information. You made it easy to understand. I wish I'd read this 23 yrs ago when I made a baby quilt for my first grandchild. It was the first and only quilt I've ever made. It would have been a very special touch with a label. I just may make another baby quilt . Thanks for the great info. When I first started what I like to call "freestyle" quilting, I ordered labels with my name on them. But when I got ready to sew them in, I didn't think they looked as special as the ones I made by hand. So now I always do them myself. Thanks for the article. Thank you radhikasree. Anytime you make any kind of art or craft, it is helpful to make sure you have your name on it, so your family and others know that you made it. Can you imagine how valuable a first painting is of a famous artist would be? 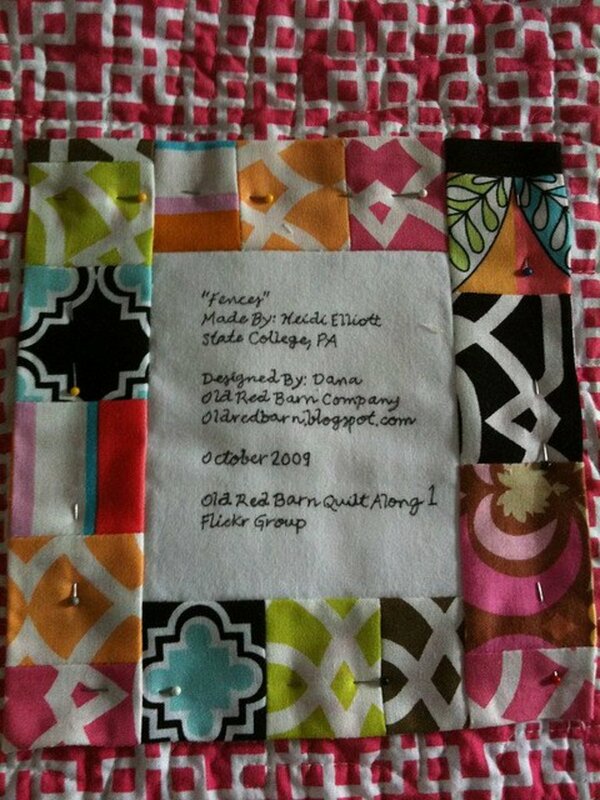 Nice tips for labeling a quilt. I've never thought of doing it before (even I'm not a great craft maker) and I'll keep these in mind to label those that rest in my bags. Thanks for sharing. Thank you livingpa2004 - I think the lesson here is that whatever kind of artwork you do, you should label it. You never know when it might become an heirloom, or last through generations and have people wondering who made it. Fascinating hub! 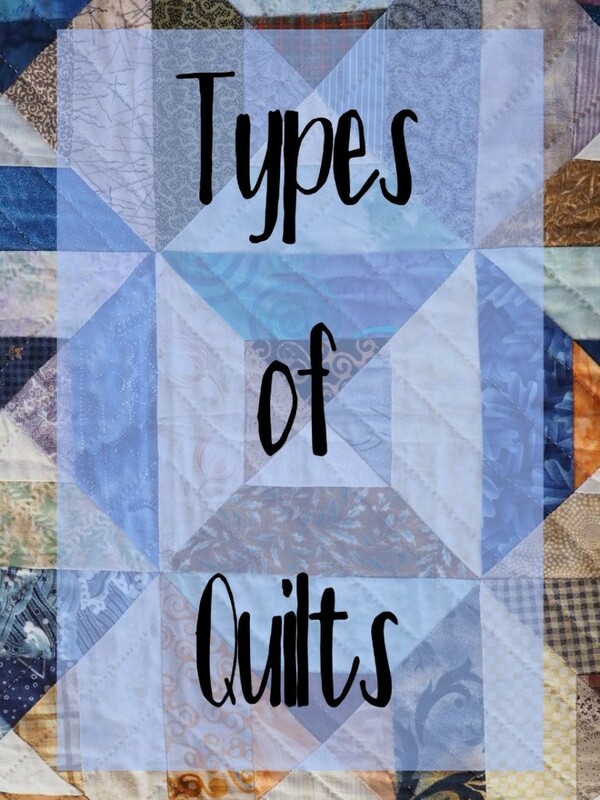 I do no know anything about quilting and labeling but I loved reading it. Congratulations on Hub of the day! Thanks ishwayaa22. It is hard for a quilter to think of herself as an artist, but we definitely need to put a label for every quilt. Thanks for the share and the votes as well. An informative and engaging read! I totally agree with you about the importance of creating the quilt label. Artists signed their names on their paintings so that their art will be remembered for many years, so the same applies in case of quilts. The instructions and tips listed by you are very helpful and noteworthy. Belated Congrats on the well deserved hub of the day. Well-done! Thanks for SHARING. Useful & Interesting. Voted up. Thank you myawn, it doesn't take much time to make a label, and it makes such a big difference for a quilt. I do hope that my best quilts are passed down through the generations. I think this is a very good idea to label your quilt. IT will probadly be passed down to the next generations. It is well worth the time. Thanks for the nice hub about this subject. Thanks MysticTurtle. Most of my quilt labels are applied in the corner. Almost the only time they are not is if I forget to apply a label on my quilt before I sew the binding down. I'd been trying to decide how I wanted to label my quilts. I'm going to try the label in the corner idea. Thanks! Thank you alissaroberts for your vote and comment. A sweet message on a quilt does make a big difference in its presentation and meaning. Great hub! A friend of my mother in law made a quilt for me after the birth of my first son. The first thing i noticed about it was that she added the sweetest message about motherhood on the quilt label - that just made it even more special. Voted up and useful! Congratulations on having a quilt in a show, and receiving an honorable mention! I haven't entered any quilts yet. Good idea to read the show's requirements for labeling. I recently entered my first quilt show (and received an honorable mention I might add) where you had to label your quilt. Their requirements were name, title and date completed. So, if you are working on a quilt for a show, you may want to read through the show's requirements. Nice hub! Once again, a very nice hub about quilting. I always thought about adding a label, but did not want to ruin something I worked hard on, seeing how my skills are still building as it is. But it is definitely something I will try soon, maybe on the quilt I am working on now for my niece for Christmas. Congratulations on your award! You certainly deserve it with all the publishing you have been doing. Congratulations! Good Hub. I always make a label when I do a quilt. That was good. Yeah, Hub of the Day!! This is such a useful article for all crafters. It is really important to label your work so people know where it came from and know who to contact if they'd like more pieces in the future. Thanks for all of the great tips. Oh I'd love a beautiful quilt like that! Thank you everyone. I am really excited to get a Hub of the Day! I can't believe it. A quilt is a work of art, and a label is a necessary part of the artwork. Woo-Hoo! Congrats on making hub of the day!!! Quilting seems to be a good way to express one's artistic side. Thanks for the hub. Thanks. I once found a wonderful crazy quilt all finely stitched with colored embroidery at a yard sale. I only wish it would have had a label so that I would have been able to identify the maker and date. I used to label my large woven wall hangings similar to this label with my name. Your article is informative and just the right length. This hub reminds me of a friend who pursued quilting as a hobby. Her initials, the date and the place where the quilt was made were always stitched on whatever she made. Nice hub and congratulations for being voted as the hub of the day. Very deserving! So glad to learn about this before I make another quilt. I've only done lap quilts in the past, and now I wish I'd labeled them! Thanks for the info and congrats on Hub of the Day! I have a crazy quilt that my great-grandmother made in 1905. Yes, she entered it in the county fair and it won a prize. It is all in velvets with embroidery around all the pieces. She also embroidered her name and the date on it. Right on the bottom right hand corner. Signed like the work of art it is. I have made quite a few quilts. Some are labelled and some are not. I guess I better get busy. You have definitely shown why it is important. Congratulations on the Hub of the Day and thanks for sharing this with us. I don't quilt. However, I have some beautiful handmade quilts I have inherited, and just wished those who made them had put a label on it. In fact, who ever make anything hand-made, should always put a label on their work. It's a unique and important touch. Okay, I think I just addressed you in following you as "Mr" and I meant to say "Ms" !!! I loved this hub. It reminded me of the quilt my mom did all the top quilting work on before she passed away. I have it in a safe place and it just needs to be quilted. I made a quilt in my early 20s and think my brother still has it. And my grandma made quilts. They are such a nice generational and memorable item to keep in the family to pass on. I really like the idea of a quilt label too. See, you got me all excited to finish my mom's quilt! Thank you. Thanks Bloggering. I have found quilt labels to be very important, and tell myself that a quilt is not officially finished until a label has been placed on it. It is only when a quilt is completely finished that I allow myself the permission to start a new one. Great hub! 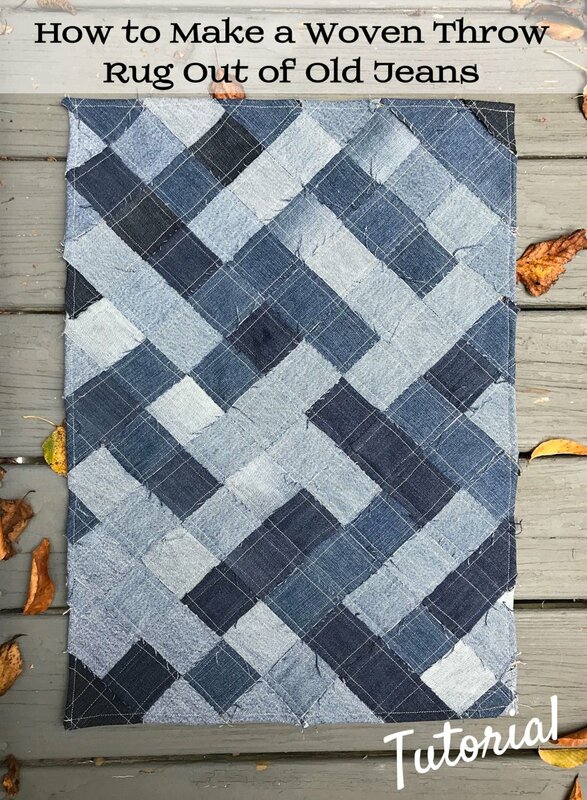 I've bookmarked it for my future quilts :-) I've always been to lazy to actually do this step, but I think it's a nice finishing touch. Simone, thanks for visiting and for your comment. 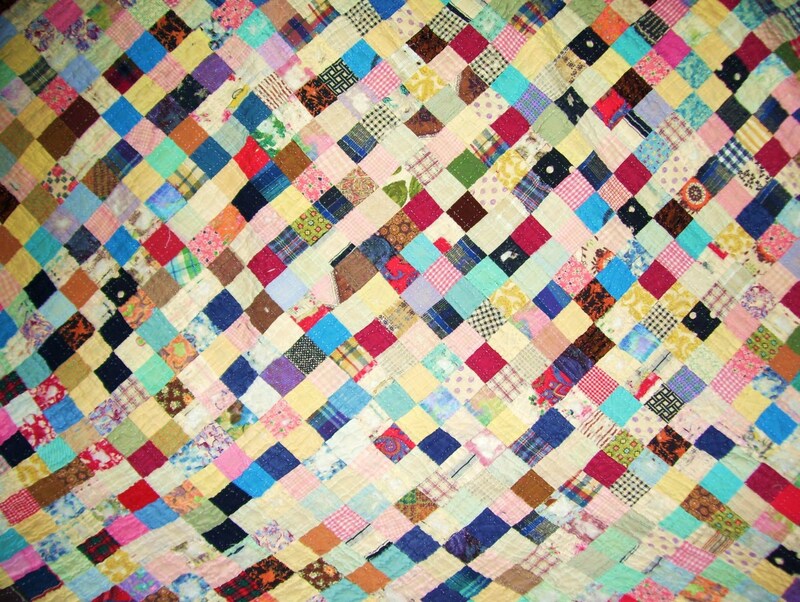 How wonderful to have heirloom quilts. It isn't too late, you can easily attach a label to your quilt, and document the information you do know, even if you only have estimates and possibilities. It's more information than the next generation will have. This is so neat- I wish everyone created a label for the quilts they made! I have some old quilts I've received form ancestors and would have loved to see their names and a date or some background attached. Quilts are meant to be handed down from generation to generation, so it only makes sense that some backstory should be attached! Thanks for the lovely and useful guide. Arlene: I have been learning to weave. I would think you could add a label to your woven things as well - especially with fusible, or maybe on a binding if you add one. Thank you for your comment. Nikki: I think it would be great for you to add a label to your GGGrandmother's quilt - I would include not only her information, but how it passed down to you. JLoeding: Good. As I was looking on my quilts to take a photo of a label, I noticed that I had some that were missing labels. Oops. I will fix that soon. I will be sure to attach a label when I finish my next quilt. Thanks for the great tips. 7 years ago from So. Cal. Very true! I have inherited a couple of quilts and wished my great great grandmother put a label on it. I wouldn't want it to continue being passed down without anybody knowing who made it. A very nice touch! I don't quilt, but I do weave my own dishtowels and other items. This is perfect when it comes to that personal touch. Voted up, useful, interesting and AWESOME. 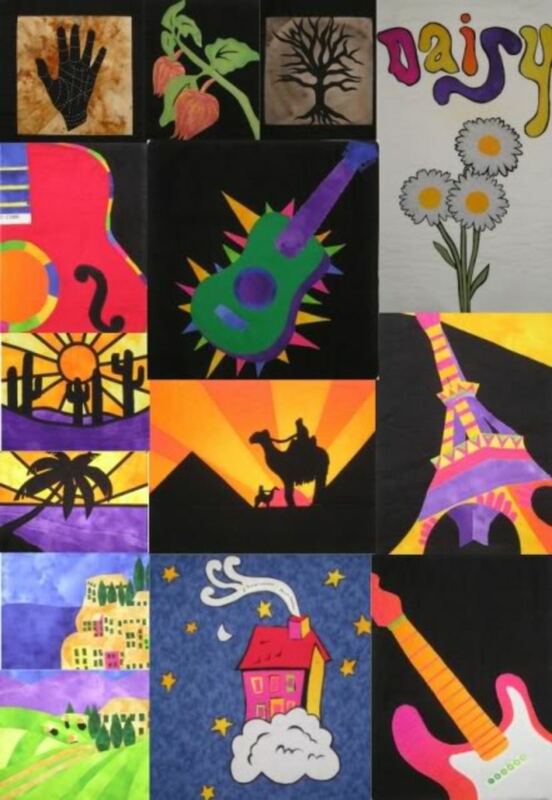 Quilters have always amazed me with their work and going that extra mile when it comes to creativity. Bookmarked, too! Thanks for the ideas!